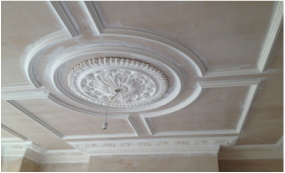 At Coving Shop Ltd, your feedback and comments are valued and essential to our business. If you have any questions regarding products or would like to discuss our services or website, please contact us! "To visit: By Appointment Only"
We deliver with our own vans, from our Plaster coving shop to your door in the following areas in England. To London, Windsor, Surrey, Oxford, Reading, Brighton, Portsmouth, Kingston upon Thames Richmond, Guildford, Sussex, Kent, Essex, Buckingham, Hertford, Berks, Bath, Northampton, Cambridge, Hampshire. In Greater London areas like Westminster, Kensington, Chelsea, Hammersmith, Fulham, Wandsworth, Lambeth, Southwark, Hackney, Islington, Camden, Brent, Ealing, Hounslow, Richmond, Kingston, Merton, Sutton, Croydon, Bromley, Lewisham, Greenwich, Bexley, Enfield, Barnet, Harrow, Twickenham and throughout the UK.